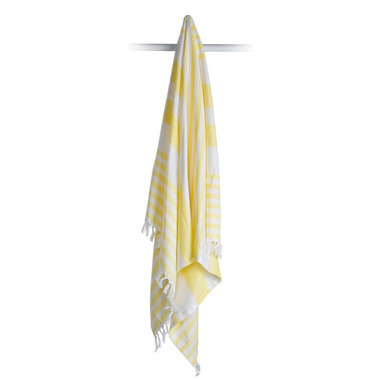 At 3ft x 5ft (60” x 40”), Lulujo’s Turkish towels are jumbo sized which means they are not just for little ones, but for the whole family. 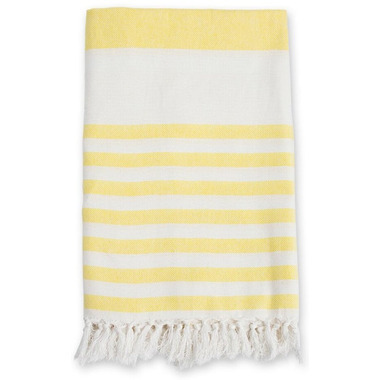 These practical, stylish & multi-functional towels are made from 100% cotton and are ideal for a wide range of uses including beach towels, bath towels, picnic blankets, wraps and much more. What a lovely little towel! Even though this towel is geared toward children, I used it for myself (5'7" adult female) and the size was perfect. It's so lightweight and packs up so small that I love taking it on beach vacations. Hardly takes up any space in the suitcase or the beach bag. Very absorbent and washes well. As promised in the writeup, this towel arrived with a pretty crunchy feel in the hand, but softened up after the first wash and continues to get softer. It's perhaps a little thinner than I anticipated, but it soaks up a whole person's worth of out-of-the-shower dampness, and dries quick.